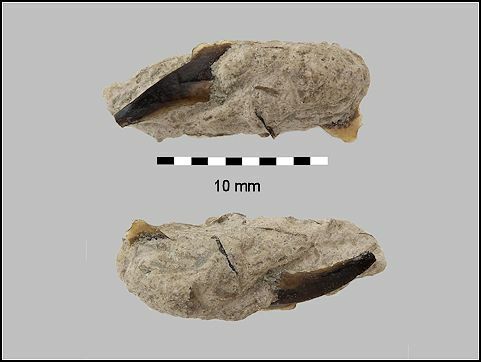 Coprolites are fossilized feces, they range in size from large dinosaur specimens weighing several pounds to the tiny pellets of marine animals. I did a quick search on EBay and came up with over 500 hits, most of these claiming to be dinosaur coprolites. According to George Frandsen (who holds the Guinness World Record for the largest collection of fossilized poop, with more than 5,000 specimens) "they’re not coprolites at all. They’re rocks that didn’t have value until someone said, ‘Hey, that’s probably a dinosaur turd.’”. Here in New Jersey shark, fish and crustacean coprolites are somewhat common. To be honest, I never paid a great deal of attention to these fossils before until I came across a fish coprolite containing a remarkable fish spine. (see below). Fish coprolite with fish spine. 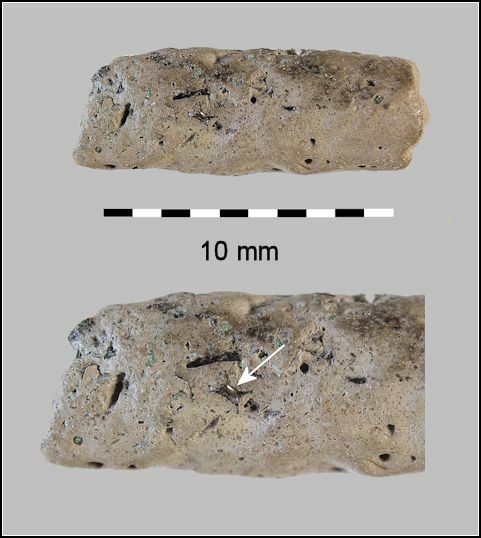 Coprolite with small fish vertebra.